Day 43: Soooo I missed a week of blogging cuz I was deep in magazine deadlines. Mostly met my deadlines, and even got a day of snowboarding in. Today was a looong day watching two energetic toddlers while their parents packed up a moving truck. Fortunately the weather was really nice so we could walk to the park and play in the backyard. The 2yo tripped and busted open his lip at the park, but otherwise it went fine. Afterward I had to unload my storage unit. Then found a cute restaurant in Capitol Hill to finish my LAST assignment and eat an early dinner. Day 44: Nothing exciting today. Freelance call and work, unpacking, F45, dinner at home. Day 45: Another nice day, so walked to KEXP to work. Because my apartment is sufficient for working and feels so far from everywhere I want to go, I haven’t been going there much. I originally thought I’d be there several days a week… took a conference call, which ended up being difficult because of the noice, and did some freelance work before heading to F45 for the last class of my trial. I really like the variety and the format of circuit training; wish it wasn’t so expensive. Day 47: Although Charlotte wasn’t happy when her mom left, I quickly got her distracted and we headed to the park since it was nice out (again!). She fell asleep in the stroller on the way, which made the next couple hours relaxing in the sun very nice. Playtime at the park, then dinner at home before mom returned. Day 48: The rain started today, so I had to get creative with what to do with Charlotte. Once again she fell asleep in the stroller, so I hung out at KEXP for awhile. We spent the afternoon at the Children’s Museum, which is quite lame compared to Denver’s, and then caught the monorail back to their AirBnb. Venturing around the city with a kid in a stroller while it’s raining wasn’t so bad. Day 49: More rain, but with rain gear, snacks and pull-ups in tow, we made the trek to the aquarium. Charlotte loooved it, so we easily filled up a few hours there. Afterward we ventured in the rain to Yardhouse for lunch, and then she fell asleep in the stroller on the way back. So I shopped and ran some errands to keep her napping as long as possible before we returned to the AirBnB just in time for her mom to return that afternoon. After three days of lugging the threenager and our gear around the city in the rain, I had a much greater appreciation for urban parents. It wasn’t unmanageable, though, and I didn’t mind it at all. That afternoon, I headed over to the Seattle Center to watch the end of a flag football game in a league I joined. It was a last-minute sign-up as a way to meet people. I’m excited, but nervous because I haven’t played in awhile. Everyone was super nice and welcoming. Our next game is next Saturday. Day 29: Got up early to run in Seattle’s 35th annual St. Patrick’s Day Dash. I guess it’s the first fun run to ever run the Seattle viaduct — the one I ran on in January before they started tearing it down. Unfortunately I didn’t bring money or an ID with me, so I couldn’t take part in the St. Patty’s Day festivities in the 21+ beer garden. Boo! The run start/finish were right down the street from my apartment, but man it sure felt far on the walk home… Spent midday deep cleaning the kitchen. I chickened out and never asked my roommate to help deep clean the apartment, so it filled up my day. Will have to tackle the bathroom another day ‘cuz I had to get a little freelance work in before walking to North Queen Anne for a babysitting gig, which ended up being an annoying four hours because the kids didn’t listen very well and their house is a mess. Day 30: Up early and drove East of the city for a short morning childcare gig. Afterward I drove to Lexus of Bellevue, since there aren’t any in the city, for my biannual maintenance and to finally get my scratch buffed out. No luck on the latter and a super expensive service; on the bright side, I got a lot done working on their complimentary computers in the waiting room. Quick workout at the local 24 Hour Fitness before heading back into the city. Stopped in Capitol Hill to meet my “mentor” – that gal who’s trying to recruit me for her secret business club that I still have yet to understand. I ordered dinner while I waited, just for her to come in for 15 minutes, ask me about the book she made me read, tell me I progressed to the “next stage” and then peace out. Man, what a freakin’ waste of time. The weather was so nice today, but unfortunately I was stuck inside with my packed itinerary. Supposed to be in the 70s all week, so will have to take advantage! Day 31: Typical Tuesday, or what seems to be my typical Tuesday in the short time I’ve been here… Full day with little Evan, gym, Whole Foods, home. The weather was really nice again, so I walked Evan and his dog Watson to the park. Opted to walk home from Whole Foods rather than bus since it’s so nice out. It’s about 25 minutes, but the hill is what gets ya. Day 32: Few morning interview calls with Global Coffee Report and then other work throughout the day. Went for a long run in the warm weather this afternoon up the Elliott Bay Trail, which I hadn’t visited in a week or so. Turns out yesterday and today were record-breaking temps for Seattle, both historically and compared to other cities across the country. It has felt like summer! I got back from running at about 7 pm and made the game-time decision to go see Foals at the Paramount theater, so showered and ate a quick dinner before catching the bus down the street. It would have been about a 35 minute walk, which is doable, but the bus was literally a 5 minute walk and 5 minute ride. I was able to use my transfer slip for the ride back after the show. Unfortunately I wasn’t paying attention and missed my stop by a long-shot. I ended up in North Seattle and had to wait for a bus coming back the other way at midnight. The show was good but not as much as expected unfortunately. The theater is incredible inside, though. Day 33: The temperature dropped overnight, so there was a bit of a chill in the air today – still sunny, though. I spent most of today nannying a new little boy who I’m hoping will turn into a regular Thurs gig. I hear I’m up against another gal… Stopped at Storyville Coffee in my neighborhood on the way home before signing up at F45 Training in Queen Anne. I took some classes in Denver, so am using the two-week trial here just to mix up my workout. Shower, dinner and work back at home. Day 34: Was expecting to wake up to rain since it was in the forecast, but another day of sun! Took a conference call at 8 am and then walked to Storyville again to work some more before my 12 pm F45 class. Tonight I watched a couple kiddos in North Seattle. I’m being very particular about the jobs I take that require me to drive; here and there it’s not so bad as I get a hang of the city. Day 15: Since I finally finished my articles for Global Coffee Report, I took the day off to go snowboarding. First time snowboarding in Washington, first time at Snoqualmie and first time back on the slopes in 2+ weeks after a stint of snowboarding several times per week while I was on my road trip west. Unfortunately the snow was horrible – it was all ice – and only 1/3 of the small resort was open. It wasn’t very fun and I was finished within a couple hours. Next I’ll check out Crystal Mountain. Viewed my first room for rent tonight. Went well, but will decide after my other viewings over the next several days. Day 16: Today was “Free Museum Day” in Seattle so I headed over to the Seattle Art Museum after two apartment viewings. I wasn’t stoked about either of them, unfortunately – I listed one as a maybe and one as definite no. The art museum had some neat exhibits, and that night was an Africa theme party. So I had a quick dinner and then went back for the party. There were speakers and live music performances – it reminded me of my amazing trip to Kenya several years ago. “new friend” from Day 1 out for coffee. She didn’t have any coffee, though, and instead basically interviewed me for this elite club that she won’t share much information about. Turns out my instincts were right about her trying to sign me up for something rather than wanting to form a friendship. Just have yet to learn what it actually is. Oh, and snow again today!! Day 18: More snow today! I had an apartment viewing, so rather than trudge through the snow, I drove there on Seattle’s empty streets. The city truly shuts down when it snows, and these have been record snowfall levels. Lexi actually had trouble on a couple super steep streets covered in slushy wet snow. I liked this apartment, too, and the girl (who would be my roommate) is super nice. I could see myself becoming friends with her. Unfortunately because I drove there, I couldn’t get a good sense for how walkable the location is. Ran to the gym and it was closed because of the snow. Day 19: One of my last appointments was today and the lady kept flaking on me. However, finally we were able to meet up around 3 pm. This is my favorite place by far. It’s a great price, has big rooms and great views. My friend (i.e. future roommate) and I are going to have to move quick if we want this one. Ran to the gym and this time it was open; however, it started snowing really hard on my way home. I watched a Prius pinball down a steep hill, ricocheting off another car and the median before sliding sideways through the intersection. Holy moly! Day 20: More snow, if you can believe it! Second day babysitting little Evan and it went well again. Afterward I went and got a library card at the Seattle Public Library downtown and then walked to my last apartment viewing. Despite all the amenities this one came with, it was disappointing. I think I have my decision… My friend happened to be in town today/tonight for work, so I met up with him and his colleague for dinner. Then he and I had some great catch-up time afterward over drinks. It was a bit hard to find a bar open on a Monday night in the snowy weather. Day 21: I had hoped to go to Crystal Mountain today, but the mountains were expected to get up to 10 inches and I just didn’t feel like driving in those conditions and sitting in the car for hours. (I also stayed up to late…) So instead I went to coffee with one of the guys who works at my hostel. He and I have become chatty over the past couple weeks, and so I can finally say I do have a friend in Seattle! Reached out to the property manager to start negotiations and move forward with that apartment I really liked, but turns out someone else viewed it the next day and already pulled the trigger. Nooooo! I’m so bummed because I loved that place and am no longer excited about any of the others. What do I do?! Packing and running errands the rest of the day, getting ready to head back to Denver for a couple weeks and then travel throughout Georgia for a week for work and leisure. Will be back to Seattle Mar 9 and pick up my journal then. I finally arrived to Seattle on January 22 after a full year of deciding on a city and continually pushing out my departure date. Each full day since I arrived, I started making mental notes of what I was observing and of my “firsts” as a resident in my new city. Considering I want to be more active on my blog (even if no one reads it but me), I decided to post a weekly update on how I’m faring. Day 2: No rain today, just overcast. Found my local 24 Hour Fitness, my local REI (which is even more impressive than Denver’s! ), and my local library. Day 3: Sun!! Still chilly out, but no rain. I had my first visitor in town. Technically she’s up here for her husband’s interview with Amazon, but was happy to spend time with a familiar face, nonetheless. I really hope he gets it so they move up here! I also took public transit (i.e. bus) for the first time and used Lyft for the first time. Although the city is super walkable, it’s way bigger and more hilly than I remember, so walking is a bit more of an endeavor at times. Day 4: I checked out of my first “residence” and moved into a hostel in Belltown that I stayed at during the visit to Seattle that got me hooked. I finally put all my stuff in storage, where it’ll stay during this short stint and while I’m traveling for three weeks. Also the first time I really had to scope out parking. Queen Anne seems to be a good residential area to leave Lexi and walk to Belltown. More sun today, so I made sure to go on the same run along the Sound that helped win me over 18 months ago. Then dinner and drinks with my “visitors.” Found a new rooftop bar and added another Fairmont Hotel to my list. Day 5: My friend introduced me to a great community space with lots of tables, couches and outlets. It also has a vinyl record stand and coffee bar with free sparkling water! Because it’s hosted by KEXP radio, great tunes are always playing and you can even see inside the DJ booth. Worked there all day today. Will be my new office for the foreseeable future. Day 6: More work, and at my fave spot of course. Second grocery shopping trip, which was quite the task walking with all the bags. Day 7: Semi-productive workday from the hostel. Made sure to finish by 3:00 so I could get outside on another sunny day. Ran further down the Elliott Bay Trail than I ever have. Made it to Smith Cove and Elliott Bay Marina; 7.5 miles RT. Posted: 9.30.2011 in A day in the life..., I love to eat, does that make me a foodie? 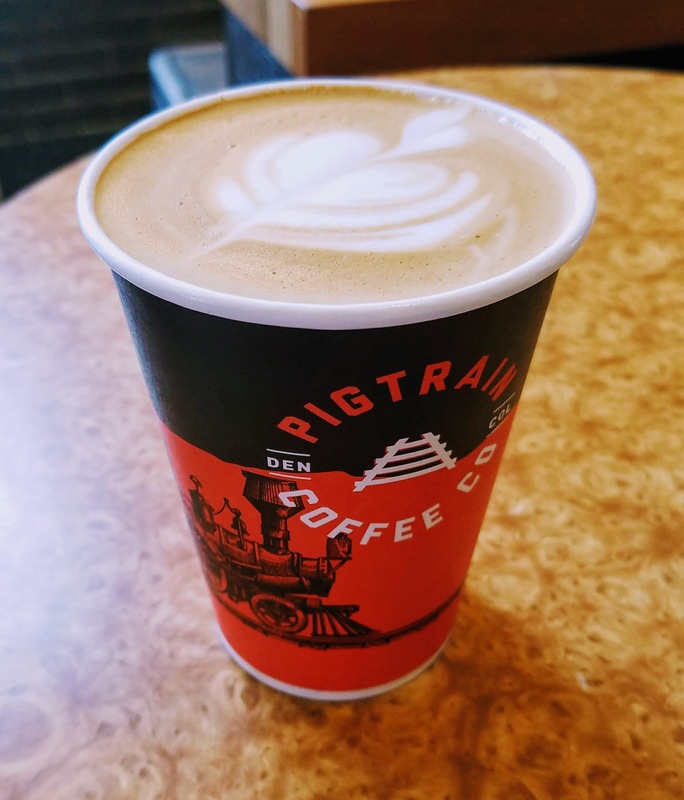 Being a coffee writer, a freelance journalist and “new” to Denver, I often find myself looking for a local coffee shop to work at and/or acquire some much-needed energy. Though Starbucks generally has the most reliable WiFi and a menu I’ve become extremely comfortable with, I more often opt for indie cafés with character and sometimes their own roasts. Below are my personal thoughts on the ones I’ve visited thus far, ranging from coffee and food to atmosphere and customer service, as well as a five-star rating. ☆☆☆☆☆ You must go here! This eclectic coffeeshop on South Broadway is a little rough around the edges – similar perhaps to the folks who frequent the bars just a few blocks down – with its furniture slightly tattered and its interior needing a facelift. But as they, “You can’t judge a book by it’s cover,” because I had one of the most delicious lattes in my first visit here. It was frothy and tasty without being too sweet, and had the perfect coffee profile. Bardo uses beans from Kaladi Coffee Roasters, which I’ve seen at a lot of coffee shops throughout Denver. The staff isn’t as warm as their coffee, but they know how to make a great coffee. There are other beverages on offer, as well as snacks and baked goods. There are lots of options for seating in the large space, with cozy, albeit worn, couches and lounge chairs in the back, old-school diner booths in the middle and standard café tables in the front. If you don’t mind slightly dingy, tattered furniture, then settle right in! WiFi is free for two hours (via code) when you make a purchase. This roaster-coffee shop was named in Food & Wine magazine’s top coffee shops in each state, so of course I had to visit. I probably would have never known about it otherwise, because it’s definitely off the beaten path and very easy to miss. I love walking into a coffee shop with fresh coffee beans being roasted in the big in-house roaster behind the counter. So when I went early one morning, I was welcomed into the spacious roastery-shop with the smell of roasting coffee. Much of the space is dedicated to the commercial-sized roasting machinery and packaging operations, so it’s not a place I’d come back to work or relax with my coffee. And to be honest, neither the experience nor the coffee are anything I’d go out of my way for – remember, this place is out of the way. They have a pretty minimalist menu, which I see a lot with indie coffee shops. It comes off a bit pretentious, and this place in particular doesn’t even have syrups or flavorings for its coffee beverages. I ordered a latte and was offered raw sugar as the only way to add flavor. Again, the coffee was OK. This place has become one of my go-to coffee shops for working and a good latte, largely because it’s so close to my house but also because the coffee drinks are good and the customer service is exceptional. It’s great to see an indie business thriving, and this place definitely is. The owner frequents the coffee shop and knows all the regulars, which are plentiful, and takes pride in his staff and business. The baristas are some of the friendliest, most attentive I’ve ever seen at a coffee shop. They rotate roasts and only use organic, high-quality beans for their coffee drinks. The menu is pretty extensive, with both standard espresso drinks and specialty drinks like dulce de leche and horchata lattes. They also have a decent food menu, with breakfast burritos and empanadas. I love empanadas, so I always get one (or two) when I’m there to work. The Lomo Saltado (a traditional Peruvian dish) and the spinach cheese are my two favorites. They also have fruit empanadas; check in on Yelp and you can get one of these free! They also participate in the Fivestars Rewards program, so I often get discounts on specialty coffee beverages. The space is cozy and spacious, with a variety of tables and couches for lounging or working. The decor is a bit hodge-podge and the space overall could use a make-over, but these are minor details in an otherwise great place. This is my other go-to coffee shop, generally when I’m coming from the eastern part of town. It’s right off Hampden, near one of my gyms, and right off the Englewood light-rail station. The convenience, atmosphere, generally friendly baristas, and food and drink offerings keep me coming back. It has lots of seating inside and out for relaxing or getting some work done – generally the latter for me. Free WiFi is always great. The only (minor) downside is that the floor-to-ceiling windows face west, so the setting afternoon sun gets really warm, even with the blinds down, and really heats up the space. In those occasions, an iced coffee or kombucha are perfectly refreshing. Both are good, as are the hot espresso coffee drinks. They have a selection of baked goods, too. For hot coffee, the standard latte is good. But I especially love how they make a macchiato – just the way I like it! Note: It is not the traditional macchiato, with just espresso and foam. It’s made like an upside-down latte, the same way a big-name chain I dare not speak of makes it and how I learned to love it over the years. Nixon’s also uses Kaladi Coffee Roasters’ beans. I’ve seen these all over Denver, so even though it’s a small, local roaster – its roasting facility is downtown in the hip RiNo district – it can now technically be classified as a chain. That said, it’s an OK coffee shop for a chain: nothing special, but nothing negative either. They only have one size for iced drinks, which is weird. I usually stick with 12 oz coffee because I don’t like all the extra milk, so was disappointed to hear 20 oz was my only option. Who needs that much milk?! Fortunately they accommodated my request to not fill the glass to the top with milk. They also gave me a fourth shot of espresso for free, since I ordered three but the machine pours in doubles regardless. As such, I’d rank customer service alone with five stars. The space isn’t super cozy and it lacks a bit of character, but that’s expected with a chain I suppose. There was ample seating, though, in the large interior space and out on a spacious patio with tables and umbrellas. I wouldn’t be opposed to working from here in the future if I happened to be in the area and needed free WiFi and some coffee. 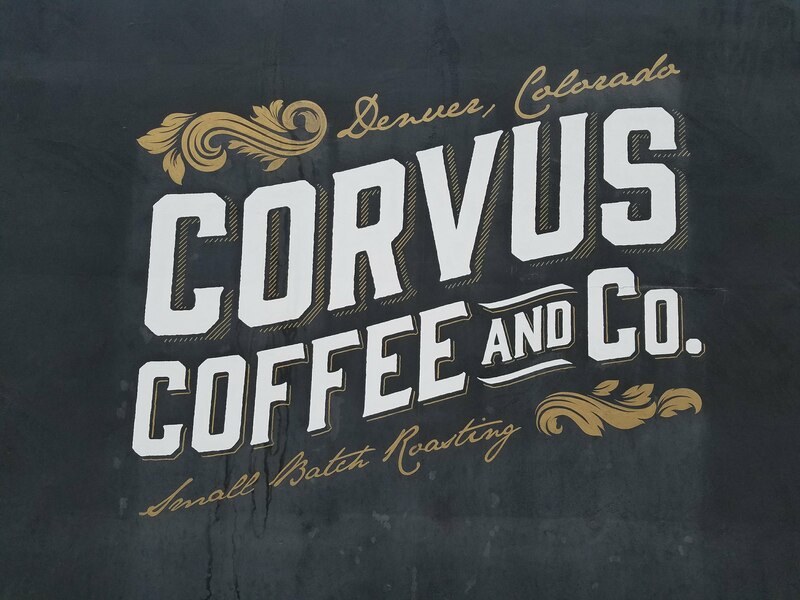 I had driven by Novo on Holly several times and wanted to check it out in my explorations of Denver indie coffee shops. Turns out there are several others around Denver, which surprises me considering I didn’t have a very good experience. It was actually quite the let down in many ways – so much that I left early and will definitely not be back to this location or any others. The staff were not friendly and seemed annoyed by customers coming in. And for some reason, there were about five baristas working for very minimal traffic. There are no outlets for people to charge phones or computers. And the one extension cord they had available was pulled into the middle of the room, creating a trip hazard. The temperature in the café was completely out of whack. When we arrived on a sunny winter day, the heat was blasting inside and everyone inside was visibly uncomfortable. Not long after we arrived and got settled, the AC kicked on and dropped the temp to an equally uncomfortable frigid level. At one point during our short visit, the owner stopped by (I recognized him from his photo on the company website). To my surprise, he didn’t seem to notice or care about the issues with the excessive (and rude) staff or the uncomfortable, inconvenient setting. The only positive about this place was the people watching. It’s an eclectic crowd and we happened to be lucky enough to sit next to a gal who called a meeting with a guy she has a crush on who is currently involved in a love triangle with her two friends. The awkward conversation that was going down between them kept me entertained and distracted from the horrible experience I was having at St. Marks. The only barista working seemed incapable of actually doing his job and clearly hated that he was at work. I’m not sure if this is him every day, or if he was unsuccessfully recovering from a wild night. I ordered a nonfat vanilla latte with just a little vanilla. It took quite a while to make, and once I got it I found it was poorly made and not the right drink. It had zero foam; I watched as he half-assed steamed the milk and slopped it into my glass. It also had zero vanilla; I never saw him put any in and I couldn’t taste any. When I brought it back up and asked him to add it in, he snapped that I didn’t order vanilla…. Umm, ok.
My sister attempted to order a breakfast sandwich but he struggled to understand what she wanted, and then made it very clear that he did not want to accommodate her simple request of no cheese. Frustrated, she just ordered a toasted bagel and cream cheese. Within 30 seconds, he managed to forget who she was and burn her bagel. “Do you need something?” he said, and so she reminded him of her bagel, which was burned by this point. Instead of accepting it, which he expected her to do, she just asked for a croissant. The place is expansive, with lots of seating. What’s unfortunate is that not a single table had been wiped down that day – or dare I say that week? Even after wiping down the tables ourselves, they were still grimy. The floor was dirty too. This place off Broadway has a great patio and beautiful signage on the wall that would have easily called me in off the street had I not already sought it out via Yelp. 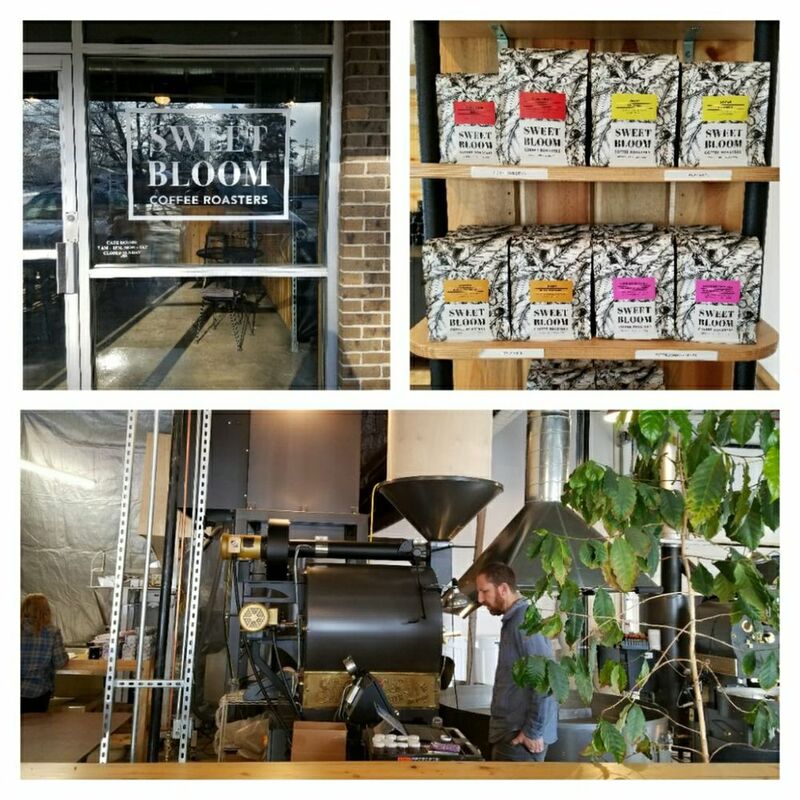 Like Sweet Bloom above, the space smelled of freshly roasted beans because the space operates as a cafe and roastery. A barista and the cafe counter greeted me at the front and a roaster was hard at work in the back, perfecting the latest batch. High-top tables, chairs and bags of green coffee were intermingled (tightly) between the two spaces. While it’s definitely neat to be among “the action” of a roastery, the space was way too cramped; it’s just too small for all the seats they tried to fit in there. The only seat I could find available was the bar along the side, which basically required me to climb over coffee bags and bump a row of other patrons every time I needed to pass through. I’d recommend reducing the number of chairs and tables inside or find a way to store the green coffee elsewhere. The barista was super friendly and helped me order when I stared at the minimalist menu with a confused look on my face. I ended up with my standard latte – it was good, but nothing to write home about. And unfortunately I ended up not getting to enjoy it and having to drink it very quickly because the café’s “free WiFi” wasn’t working. Aside from preferring indie roasters/cafés over chains, the WiFi is why I chose this place. So needless to say, it was super annoying to find out the WiFi didn’t actually work AFTER I ordered. If the coffee was amazing, I’d probably go back, but it was pretty standard for a specialty roaster-café, so I won’t likely go back considering all the negatives with the actual setting. This great little café is on a tiny business strip just off Federal near the Highland neighborhood. The café is cute and eclectic, with mismatched vintage-y furniture – even a barber’s chair! It also has a great patio out front with lots of seating for warm days. Like many of the shops I’ve visited, 2914 uses Kaladi Roasters coffee beans. I haven’t had an espresso I didn’t like using Kaladi bean, so I can go into most cafés with their beans and feel confident I’ll like the coffee drinks. And as anticipated, I enjoyed my latte while eating a raspberry scone and working on the free WiFi. They also have a variety of paninis that sounded good. Unfortunately I’m rarely in this part of town, particularly during the time of day when I would need a coffee or somewhere to work, so I don’t see myself frequenting the café. I highly recommend it for others in the area, though. Coda is technically in Edgewater, which is a little unincorporated township right off Sloan’s Lake. It’s a bright little coffee shop right on “main street.” Their other location is the roastery in North Denver. I’ve seen some of their coffee used at a couple local shops, but would love to see more because I really like it. I first stopped in on my way to work and got a vanilla latte to go. It was one of the most delicious I had ever tasted! When I went back, the latte didn’t knock my socks off the second time, but it was still good. They also have good cold brew, and I believe they have kombucha on tap. They sell pastries and breakfast foods from local businesses. Because Edgewater and its main street are small, the businesses are naturally small themselves. As such, the seating area in Coda leaves a bit to be desired. Seating is somewhat cramped in an odd-shaped, narrow space – not ideal for lounging or working. I don’t believe it’s air-conditioned either. So needless to say, I probably wouldn’t go back with intentions of working there, but I definitely will go back for a great coffee beverage. Fun side note: In writing about Probat, a German commercial coffee roaster manufacturer, for an article, I learned that Coda co-owner Tim Thwaites won a contest Probat put on at last year’s Specialty Coffee Expo to visit the company’s state-of-the-art headquarters in Emmerich, Germany. This is coffee shop is in the newly renovated Union Station in downtown Denver. Because it doesn’t really have any seating and, instead, relies on the train station’s seating in the Great Hall waiting area, it’s more of a coffee bar. Also because it’s in the train station, it’s a great place to pick up a coffee before your departure or on your return. As such, it’s a busy spot but the baristas are pretty good about keeping the line moving. They have a decent selection of coffee and other drinks. I decided to go with a unique specialty latte with lavender, but unfortunately I wished I had stuck with my go-to vanilla latte. The lavender-espresso combination made it taste a bit like potpourri; the lavender just gave it a weird flowery taste. I can see it going well with tea, but not coffee. Now I know. Unfortunately I can’t comment on the other coffee beverages and I couldn’t even really tell if I liked the coffee itself. I guess they also make coffee alcoholic beverages and cocktails, too, which I’m assuming are more popular with the evening crowd that flows through the Great Hall. They use coffee and espresso beans from locally owned Conscious Coffee. This coffee shop combines its operations with a bike shop, which is a bit of an odd combination and doesn’t make the coffee side ideal for relaxing or working. It’s better for people looking for a coffee to-go. I was in dire need of some caffeine on the go, so it worked perfectly for me. And because bikes flowed in an out of the space, the barista didn’t even bat an eye when I came in with a double-jogger stroller. Come to think about it, he didn’t really show any emotion to me or any customers. The barista wasn’t very friendly. I got a cold brew, which was good but pretty standard. They use beans/roasts from a few local roasters, which I always appreciate. One of those is Strava Coffee, a company I had the opportunity to interview and write about. They have a line of hemp-infused coffees (with CBD), so I thought that was a unique and interesting addition to the coffee shop’s menu. If I wasn’t on the clock, I might have considered trying it. If a person didn’t intentionally seek out a nearby coffee shop or patronize one of the nearby businesses, this place could easily go unnoticed. It’s in this tiny little indie business district below Santa Fe called the Yard. I have no idea how the mish-mash of businesses in there came together, but it’s quirky and I like it. Copper Door isn’t quirky, per se, but it’s a great coffee shop in what looks like it used to be an auto garage of sorts. For the first half hour I was there, the big garage bay was open, letting the nice spring weather into the large open space. The barista pulled the door down when it started raining. I got a cold brew, which was good, but I resisted my temptation to get a pastry. They have quite the selection of yummy-looking baked goods. I think they also have some hot items, like breakfast sandwiches and burritos. As I mentioned, the indoor space is large. It’s pretty minimalist and clean with some seating up front and the coffee bar in the center. In the back is the roaster; they roast all their beans, and I believe there are a couple other locations, including the original.